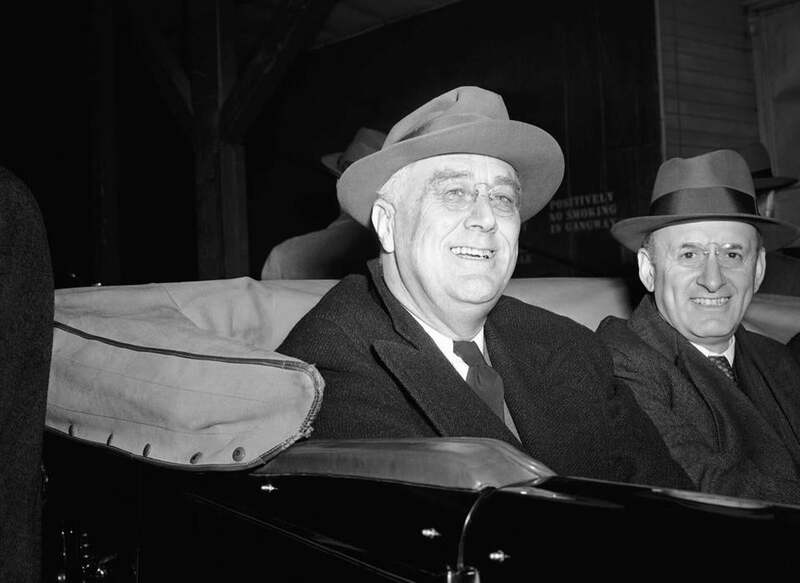 President Franklin D. Roosevelt and Treasury Secretary Henry Morgenthau Jr. made an election eve appearance in Kingston, N.Y., Nov. 4, 1940. The global refugee crisis is the worst since World War II. Today’s refugees, like many before them, are often targeted for who they are and for what they believe. Now, as during the Second World War, the United States offers hope to such persecuted people, but hope doesn’t always translate into open doors. Indeed, it was a missed opportunity to save tens of thousands of lives from Hitler’s archipelago of death that eventually led to a radical, albeit temporary, rethink of US refugee policy. And it was only thanks to a brave band of government whistle-blowers that Washington’s deadly foot-dragging was exposed. The story is a reminder of the high stakes involved in two seemingly unrelated fields: whistle-blowing and refugee policy. In January of 1944, the US approach to those fleeing Hitler underwent dramatic change with the creation of an independent government agency charged solely with rescuing victims of enemy oppression, primarily European Jews. The War Refugee Board, established through Executive Order 9417, saved approximately 200,000 potential victims of the Nazis. The creation of the board was the direct result of the courageous efforts of a small group of public servants. While conducting their normal duties to process a license request, the Treasury men discovered that officials in the State Department were not only failing to implement specific refugee rescue proposals favored by President Franklin D. Roosevelt but were also actively using their power to prevent Jews from escaping to the United States. They had suppressed information about the Holocaust, delayed the processing of rescue initiatives, and refused visas to Jews. Further, they had hidden or altered documents to cover their actions. State Department officials cited varied reasons for their obstruction, including at times fears that rescue proposals would benefit the enemy financially, that the Jews would not have anywhere to go once rescued, and that Jewish immigrants could be used as spies by enemy nations. Treasury officials determined that such justifications were unfounded or immaterial and speculated that State suppressed information about the Holocaust in order to dampen public pressure to assist refugees. It would hardly be an exaggeration to suggest that this diary rewrites history that we thought we knew. Treasury’s six-month effort to document and expose State Department malfeasance culminated in a meeting with Roosevelt on Jan. 16, 1944. In the 20-minute discussion, Secretary of the Treasury Henry Morgenthau Jr. presented the president with a detailed report of Treasury’s findings, urging him to create a new government commission responsible for refugee issues. Roosevelt agreed. In less than one week, he issued the executive order establishing the War Refugee Board. Courage characterized then Undersecretary of State Sumner Welles. 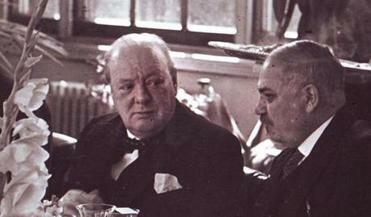 His appeal for more information about Hitler’s plans for genocide in April 1943 ultimately led to Treasury’s engagement with State on the license request that led to its discoveries. The State Department had deliberately hidden its obstructionist actions from Welles, and in late August 1943, he was forced to resign after colleagues at State exposed his homosexuality. The State Department later threatened to invoke the Espionage Act if he wrote anything about foreign affairs. Courage characterized Josiah DuBois, the chief architect of an 18-page report entitled: “Report to the Secretary on the Acquiescence of this Government in the Murder of the Jews,” a revised version of which Morgenthau would present to Roosevelt in that consequential January meeting. DuBois had told Morgenthau that he would resign if Roosevelt did not address the problems at State. Courage characterized John Pehle and Randolph Paul, key members of the Treasury group. Pehle and Paul would be among those who met overnight on Jan. 16 to draft the final documents for the executive order. Their government-issued cars mysteriously failed to arrive the following morning to deliver the crucial documents to the White House, prompting Morgenthau to request a report on the location of every car, every chauffeur, and every client from 7 to 9 that morning. The term whistle-blower has assumed a negative connotation in recent years, associated of late with those who put others’ lives at risk by exposing secrets. The Treasury men and their allies at State did just the opposite. They risked their jobs to save others’ lives. And yet, their names remain largely absent from public consciousness. Still, the ghosts of Treasury seem to have lived on, amid their anonymity. Perhaps they were in Dacca, Pakistan, in 1971, when members of the US Foreign Service sent the first ever dissent cable in Foreign Service history in protest to President Nixon’s lack of response to mass atrocities in Bangladesh. Or, maybe they returned in 1993, to haunt the halls of Foggy Bottom one last time, as the largest wave of resignations in State Department history emerged in protest to the tepid US response to mass atrocities in Bosnia. Perhaps the largest refugee crisis since World War II will bring their memory back once more and inspire more acts of courage. Either way, it’s time we knew their names.